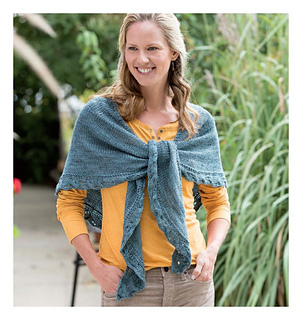 The Passing Through Shawl has the shape and versatility of a classic working shawl. This piece is designed to be large enough to wrap around the shoulders and tie in the back to create a sort of vest to allow full arm movement. Worked from the neck down, a lace panel was placed along the center and a decorative cable edging along the bottom. 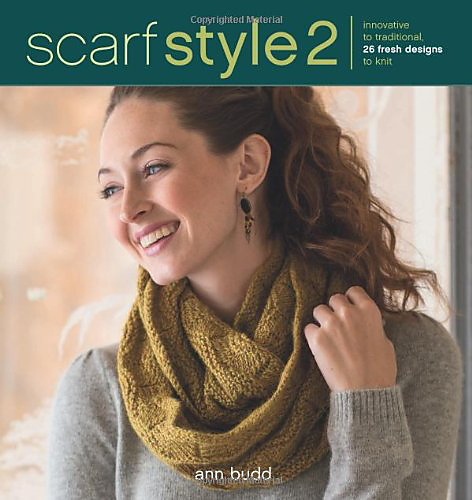 The cable edging passes along the hem and the cables pass through the lace as they travel up the back of the shawl - hence, the name Passing Through!